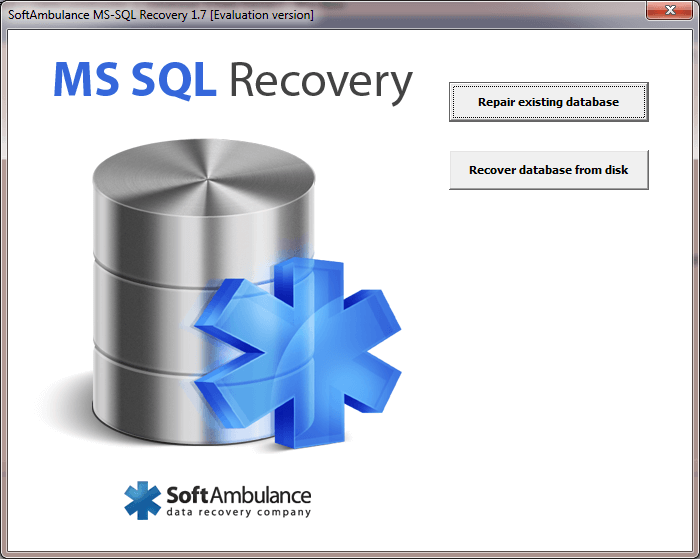 Restore all types of damaged and deleted MS SQL databases with MS-SQL Recovery. The tool is designed to undelete MS SQL databases from formatted or corrupted disks providing aid to restore corrupted databases. The software has Automatic, Semi-automatic mode and manual modes which helps you reconstruct database structures. MS-SQL Recovery can be used to upgrade healthy databases to Unicode. ADO export allows direct upload to another MS SQL server. D-Softs Database Comparer is a powerful and fast mssql database compare tool. It not only can be used to compare schemas of two databases, and the contents of two databases can also be compared. It supports thirty mssql database Objects Types, with strong compatibility. By setting the, the comparison and synchronization results are shown clearly. Also, its interface is nice and friendly. DTM Data Scrubber is a set of intelligent tools for data verification and scrubbing. Depending on user-defined rules and data properties, the program either creates a report about the actual state of affairs or performs database data correction. The program supports two sets of rules - for verification and for cleaning. DTM Data Scrubber is a true Win32 application, supports Windows 98/ME/2000/XP/2003. Resolve all SQL errors with the ideal solution that is SQL recovery tool. You can efficiently repair SQL server database by SQL recovery tool that directly exports recovered database into SQL server that saves you manual efforts to perform this. DTM Migration Kit is a powerful yet simple data import,export and migration tool that comes in handy if you run multiple databases. Use it to import, export or migrate data between different data sources (ODBC, IDAPI or Oracle Call Interface supported). The program is fully automatic and supports all popular database formats. Simple visual interface lets you set own transformation and flow control rules to give you added flexibility. Professional Oracle database recovery software is the most efficient tool which uses hodiernal data recovery or repair technology. Our Oracle data repair program provides safe and secure features to recover and repair Oracle data in the systematic way. This recovery software for Oracle can straightforwardly recover Tables, Schema, Triggers, Index, Primary Key, Foreign Key, Composite Key, Functions, Constraints and Procedures from corrupted and damaged Oracle database 9i, 10i and 11g. This Oracle data retrieval software save recovered data as a set of SQL files to be used for rebuilding Oracle database. This can be done manually or by using auto generated batch file Import.bat. Oracle database repair program provides toolbar options like Open, Repair, Save, About and Exit. Our data Oracle recovery software is simple to install and easy to operate. Software supports Windows 2000, 2003, Vista, XP, 2007 and Windows Server 2008 OS. Pangolin is an automatic SQL injection penetration testing (Pen-testing) tool for Website manager or IT Security analyst. Database support: Access,DB2,Informix, SQL Server,MySQL, Oracle,PostgreSQL,Sqlite3,Sybase. Features: Auto-analyzing keyword, HTTPS support, Pre-Login, Bypass firewall setting, Injection Digger, Data dumper, etc.